Strong differences of opinion, extreme positions, insistence on “perfection” — they’re all classic roadblocks to progress. Just ask Congress! Those classic roadblocks can get in the way of teaching your kids about money, too: strong differences of opinion between spouses, extreme controls on your child’s spending, a fixation on finding the perfect all-encompassing system. How do you move beyond the roadblocks? Find some middle ground. This week, each of my three picks illustrate the middle ground when it comes to some classic kids and money debates. Maybe your spouse feels strongly that an allowance is a terrible idea — a work ethic crushing entitlement! Maybe you, on the other hand, view allowance as a simple, effective tool for practicing basic money management habits like saving and resisting impulse purchases. Instead, your spouse wants to pay your child a “commission” for doing chores. How else will your child learn to appreciate that money is earned through hard work? But, you worry that paying for chores sends the wrong message about pulling your own weight within the family. After all, nobody pays you to make the bed or fold the laundry! Do you want your child demanding payment for every little request for help? Nope. You and your spouse are at an impasse. 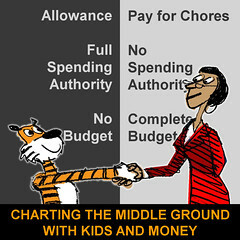 You can’t agree on a system, so you continue to be ad hoc or even inconsistent with your child when it comes to money. With no reliable, predictable income source, your child has no opportunity to practice good money habits. What’s the middle ground in this case? Perhaps Jack Otter, the Executive Editor of CBS MoneyWatch and author of the book Worth It... Not Worth It?, has the answer for you. In this article and short video, he handles a rapid fire pop quiz on 10 common money questions. Among them is the classic: “Kids, allowance or pay for chores?” His answer is short and sweet: a modest allowance coupled with pay for “big” chores that are outside the normal, expected household duties. 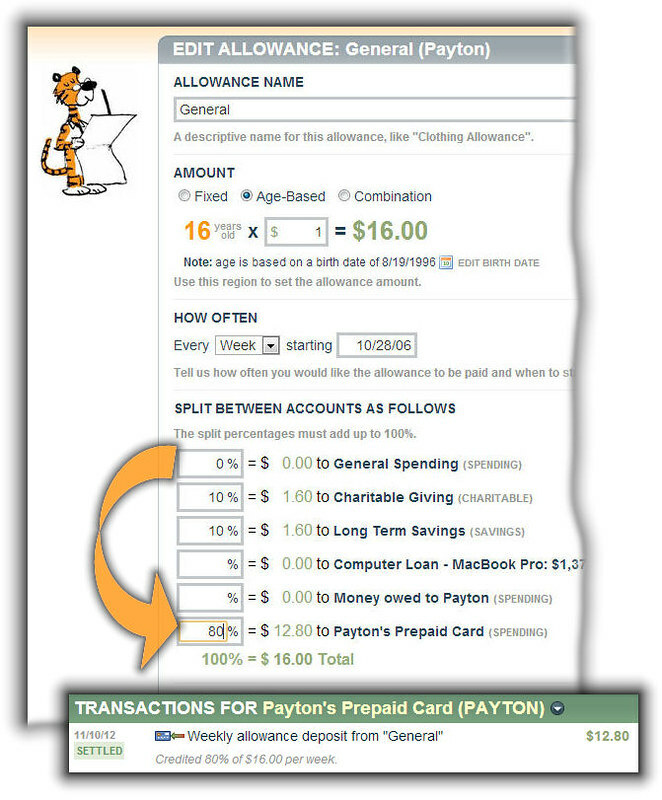 Related FamZoo Activity: Set up an allowance and a (big) chore chart. You’re disgusted with all the focus on consumption within our society. The thought of kids running around with the latest, greatest shiny techno-gadgets or trendy fashion items turns your stomach. And now your child announces she wants to save her money to buy that bleeding edge, “insanely great” tablet computer. Absolutely not! You’ll decide what’s appropriate for your child to purchase. Everything beyond that — money from birthday checks, odd jobs, you name it — goes right into to her savings account. No questions asked. After all, you know best from your own experience. The problem is: by withholding all financial decision making responsibilities from your child, you’re robbing her of the most effective teacher of all: personal experience. It’s awfully hard to learn a skill without some of your own trial and error. What’s a good middle ground solution here? Relinquish some financial decision making responsibility to your child, but couple it with some smart spending guidelines to ensure an appropriate level of frugality. That tablet for example? Fine — as long she purchases a gently used one. As Gary Forman, founder of The Dollar Stretcher, advises in tip #1 of this excellent article: teach your kids that “hand-me-downs” are acceptable. That will lead to smart money decisions later as a young adult, like buying used cars instead of new ones. Read the rest of Gary’s list here. 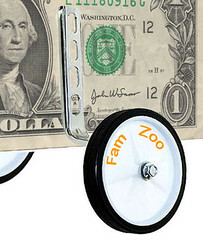 Related FamZoo Activity: Agree on a savings goal with your child. Budgeting is the cornerstone of personal finance. So you’re determined to teach your child that critical money management skill. Many experts recommend putting your children in charge of their own spending and tracking it relative to a budget. In a perfect world, that budget wouldn’t just cover pocket money for modest “wants,” but real world “needs” too: school lunches, birthday presents for friends, mobile phone charges, clothing, entertainment, you name it. And if your child mismanaged her budget? Tough! That’s too bad, because I think there’s a middle ground learning opportunity in the real world “needs” budgeting department. There’s an approach that keeps things simple while retaining a little of the very effective “tough love” learning element. Just focus on a single, well-defined area of spending that your child truly cares about — clothing is a classic example. Work out a budget together focused on just that area of spending, allocate an allowance that matches the budget, and have your child manage spending within the budget. It’s far more manageable than an all-encompassing budget, and it teaches the basics of the skill effectively. Related FamZoo Activity: Make and manage a clothing budget. We’re constantly scouring the Internet looking for articles related to family finances and teaching kids good personal finance habits. You can visit our ever growing list of family finance bookmarks here. We’re up to 2,978 now! by Bill Dwight on Thursday, November 15, 2012 at 7:14 PM | LEAVE A COMMENT! So the “why?” is pretty clear, as is the “when?” — that would be yesterday! As for the “who?”, I’ve never heard anyone take issue with the old adage: “start early!” So youngsters are clearly a key part of the “who?”. And when money and kids are involved — regardless of what you’re doing in the schools to teach money concepts — you’ll need to involve the parents and guardians. Why? It’s about practice. Like any other skill, kids can’t master personal finance without practice. And, kids can’t practice personal finance without real money. Where do young kids primarily get their money? Their parents, of course. So, the parents need to be involved to make it all work. Even if we were to ignore such practical matters for the moment, it’s very clear that money and values are intimately intertwined. Just ask parents whether they care about how their kids earn, spend, save, and give their money. You’ll invariably hear passionate responses deeply rooted in their unique family history and values. Parental involvement in financial education is a moral imperative. That brings us to the “how?”. How does a financial institution figure out what’s next and what’s best when it comes to financial literacy? The answer is research. Lots of research. Start by analyzing a large sampling of viable candidate solutions — say, 60 or more. Then, score each according to key criteria, like whether the solution is targeted, interactive, accessible, scalable, and effective. Finally, use that data to pick a handful of best solutions with the most potential. Sounds like a lot of work, right? It is. But, here’s the good news: it’s already been done for you. 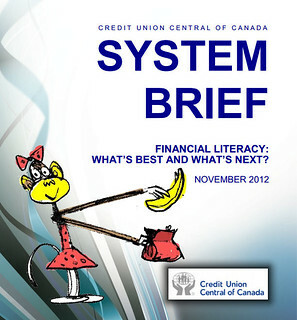 All you have to do is check out the System Brief delivered this month by Credit Union Central of Canada. It’s called “Financial Literacy: What’s Best and What’s Next.” You can download it here. Spoiler alert! FamZoo, our online and mobile application that helps parents teach their kids good money habits, is among the 8 selections for “What’s Best” culled from 67 candidates. And when it comes to “What's Next?”, FamZoo is among just three identified on the “Short Term” list as suitable for rolling out right away. So, if you’re with a financial institution looking for what’s best and what’s next in financial literacy, we’d be delighted to set up a live, private online demo to show you how FamZoo works and how it can be customized for your institution. Just contact us here. 1 Conversation with the Chairman: A Teacher Town Hall Meeting, Ben S. Bernanke, Federal Reserve Board, Washington, D.C., August 7, 2012. 2 Parliament’s Role in Promoting Financial Literacy. A Special Column by the Chair of the House of Commons Finance Committee, Policy and Advocacy Report, Credit Union Central of Canada, November 15, 2012. If you use allowances in FamZoo, you’ve noticed that we let you automatically split the total amount between multiple virtual accounts. Each split is defined as a percentage, and together they must add up to 100 percent. One of the reasons we use split percentages instead of amounts is because parents frequently make the allowance a function of their child’s age. (To be precise, FamZoo parents create age-based allowances 47.6% of the time.) If we have the splits defined as percentages, it makes it easy for us to automatically calculate the adjusted split amounts as your child grows older and the total allowance increases. It would be nice to have a type of allowance that wasn’t divvied by percentage but by dollar amount. In other words, at the moment we give our daughter $3 for long term, $2 for short term, $2 for charity and $2 for float (which she decides where she wants it). It would have been nice to add her allowance that way instead of having to muck around with the percentages to get it to work out evenly (33.34%, 22.22%, 22.22%, 22.22%). It’s not that it was hard, just a bit tedious. I understand if you want to have a standard split rate for other deposits that the percentages would be good, but it would also be nice to have a type where you can just put in the dollar amount per account. It obviously would only work for an allowance that doesn’t change (very often) vs an ad hoc new “contribution.” It just would be nice to have that option. Step 1: Create the accounts. Click on the Create Account link (found on the Overview page or the Accounts page of the Bank tab) to get to the Create Account form. Fill out the form for each account to which you’d like to distribute allowance amounts. In Michelle’s case, that’s three accounts: one for long term saving, one for short term wants, and one for charity. Step 2: Create a checklist. Click on the Create List link (found on the Overview page or the Checklist tab) to get to the Create New Checklist form. 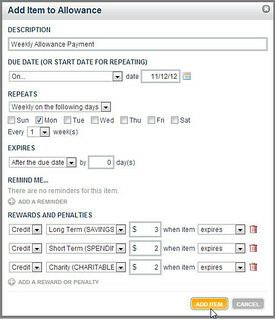 Name the checklist something appropriate like “Allowance,” and be sure to check the box to allow the assignment of rewards to items on the list. Step 3: Create a checklist item that delivers the allowance. Click on the Add Item link to add a new item to the list. Pick a start date that is one day before the desired delivery date. Select the repeat options to match how often you’d like the allowance delivered. 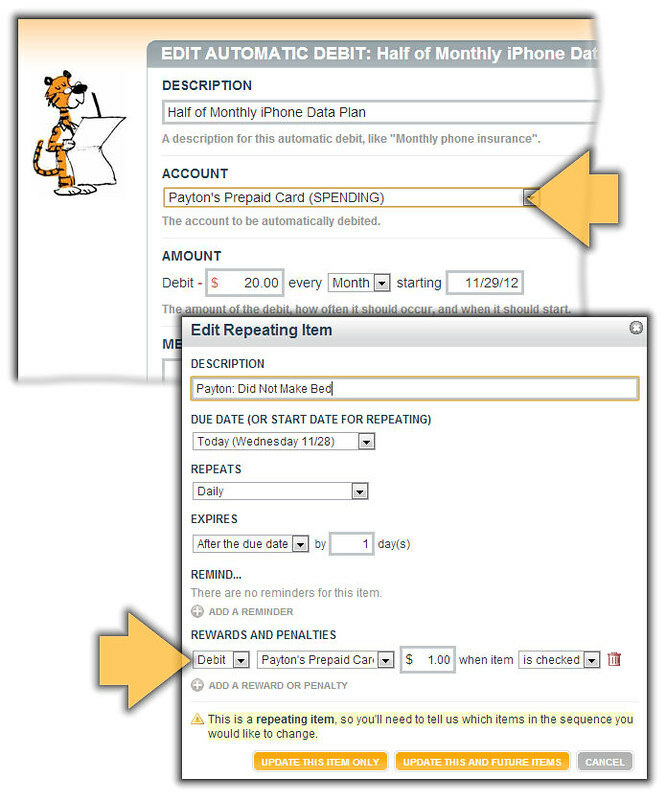 Set the Expires setting to be 0 days after the due date so that this repeating item will always automatically expire immediately after its due date. Add a reward entry for each split that indicates the target account and associated dollar amount to be delivered by the allowance. Make sure that you have when item expires selected for each reward entry. That’s it. Now, whenever the repeating item expires, the allowance amounts that you supplied in the rewards settings will be automatically delivered to each account. Now what about the $2 “floating” amount that Michelle’s daughter gets to assign to the account of her choice? I’d recommend setting that up as an additional repeating item on the Allowance checklist with a single reward of $2 to the desired account. I’d also set up a reminder on the repeating item. It serves as a prompt to ask your child whether she’d like to change the current account assignment for the floating component of the allowance. If so, just edit the floating checklist item, and update the account pull-down in the Rewards section accordingly. For the step-by-step instructions in pictures, check out this slideshow. Questions? Don’t hesitate to contact us. by Bill Dwight on Monday, November 12, 2012 at 5:26 PM | LEAVE A COMMENT! Practice, practice, practice. Everyone agrees that kids need lots of practice to master a skill, right? Whether its sports, academics, music, you name it. So why not give your kids lots of practice when it comes to the critical life skill of managing their own money? Without it, your kids are headed for trouble. Kids can’t fully develop personal finance skills by playing games or by having you make all their financial decisions for them. That’s like expecting your child to become a great hockey player by playing an online hockey video game or just watching you skate around the rink. To practice, kids need some real money of their own. Don’t get too bogged down in classic allowance vs. paid chores debates when it comes to determining your child’s source of income. Just pick an income source and amount that makes sense for your family’s situation. Then, give your child the freedom and responsibility to make regular spending, saving, and giving decisions with that money — within some minimal set of basic boundaries that you establish. Through repetitive trial and error along with your guidance, your kids will develop the skill of making wise money decisions. Practice makes perfect — or, at least proficient. A bit of a “party pooper” post from Investopedia about Monopoly, but a good reminder that the best games are designed first and foremost to entertain. 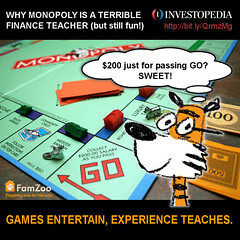 To really learn something, like personal finance, nothing rivals real experience. It’s all about (real) practice. FamZoo Mom, Suzanne Skyvara, was back on public radio again last Friday in this longer four and a half minute interview segment — an expansion of the original shorter broadcast here. Suzanne describes how FamZoo helps her kids practice making financial decisions like the trade-off between spending extra money on a soda now versus saving it toward a video game purchase later. The experiential learning includes living with the consequences of truly bad decisions, too: like losing $10 to your brother over a spontaneous bet about the name of a video game. Oops. 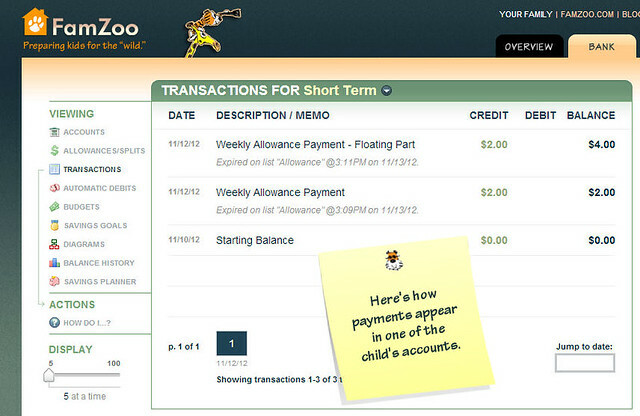 Related FamZoo Activity: Review your child’s financial decisions with them each month. A child’s allowance should be enough to allow them to buy something small right now or save for something big later on. 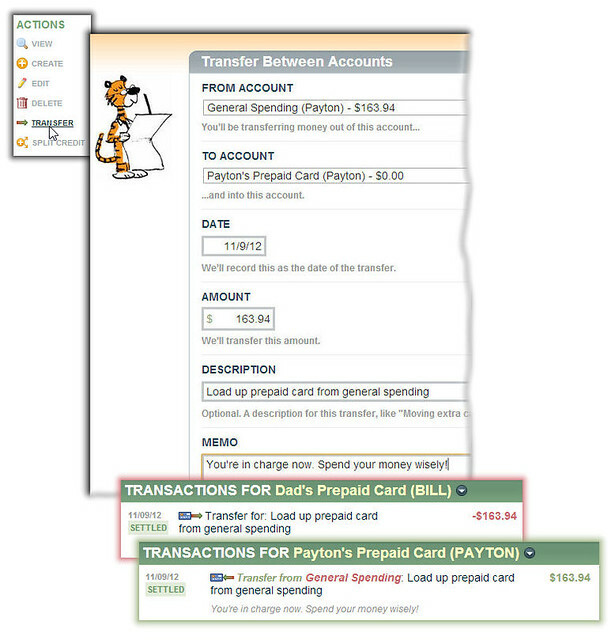 Related FamZoo Activity: Help your child track progress on a savings goal. We’re constantly scouring the Internet looking for articles related to family finances and teaching kids good personal finance habits. You can visit our ever growing list of family finance bookmarks here. We’re up to 2,992 now! by Bill Dwight on Wednesday, November 07, 2012 at 9:06 PM | LEAVE A COMMENT! Recently, I had the privilege of joining Heather Wagenhals on her Unlock Your Wealth radio show. Heather is a personal finance columnist, author, and radio show host who focuses on financial tools designed to help everyone manage their finances and attitudes for the dual purpose of achieving financial wellness today and financial independence for the future. How financial literacy is much more than just knowledge. How a virtual family bank works and gives kids hands-on experience with money decisions. How technology can make mentoring easier for parents and learning more engaging for kids. How to let kids learn through "failing." How to get 6 months of FamZoo for free through the end of November. You can listen to the recorded interview here or read the transcript below. Heather: Greetings everyone. Welcome to the broadcast. You are listening to Unlock Your Wealth Radio with Heather Wagenhals. I am she, your hostest with the financial mostest, guiding you through the murky money waters into the promised land of wealth and happiness helping you get your money mind right so that wealth and happiness can follow, and we do that each and every week right here at unlockyourwealthradio.com. We are so glad to have you. We are beginning our 5th key in our Keys to Riches Financial Wellness Series this week, and that is, "Take Emotion out of the Picture". In this episode we are going to learn how we can keep our passions in perspective when we make financial decisions. 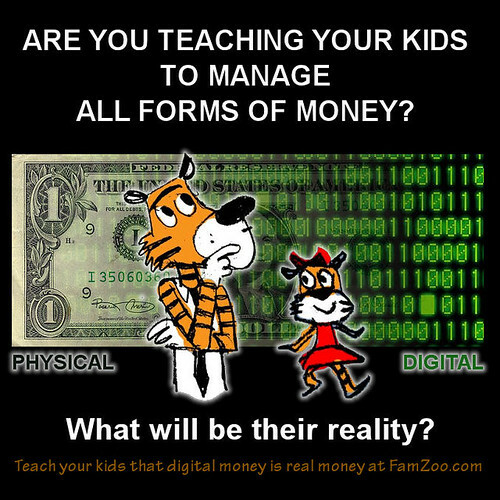 Also coming up on today's show we have special guest Famzoo.com creator, Bill Dwight, joining us to talk about kids and money management tools that you can use to help teach them how to be good stewards financially so they won't have a need for this radio show when they get older. That's one of the things that I'm trying to create, obsolescence with my radio show by sharing how we get our money minds right, and we do that each and every week with our Keys to Riches Financial Wellness Series. For those of you who are joining us for the first time, welcome to the broadcast. We're so glad to have you. The Keys to Riches is simply a bakers dozen of financial concepts that I designed to help you get out of your own way when it comes to managing your money. We're going to learn more about this week's key and how it fits into the bigger picture, and specifically why this key is so important to you because as we say at the beginning of our show, it's about getting your money mind right. Why do we say that? Well, it's simple. It's because we all know to spend less and save more, but we don't. Why is that? Because when we say it's all about the money, it's actually not about the money. We're going to learn about that today and how emotions are connected and how we can work to overcome those. And so, we'll do that on today's show. I'm so excited. Let's get to our guest shall we. The Famzoo website is pretty amazing. Bill Dwight created this website because of a personal reason. A father of five was looking for a way to teach his kids about money. He designed this really incredible way to do that. But I'm going to let him tell you about that because his story is so unique. I really haven't featured a whole lot of money management tools. We've have Sharon Lechter on with her kidpreneur program, but how do we take whatever we decide as our money teaching tools for our kids and translate that into something that is simple and easy for us implement that we can be - the key - consistent with. Because consistency in our children is super important because they're hawks, and they will hold you accountable. All you have to do is goof up once with the kids and they will be all over you. "But Mom, you said..." or "Dad you said...", and all it takes is one time to make a mistake, and if you're too tired, or too busy, or your system for teaching kids is too complex, you're going to get hung up in that. So, I am so excited to have a conversation with Bill Dwight. So, let's get started shall we. Welcome to the show Bill. Bill: Hi Heather. Thank you for having me. Heather: I'm so excited to have you on the show today because one of the things that is so important to me is the right programming, and for those who are regular listeners understand this all too well because they're busy smacking their forehead, "If only my parents would have programmed me right," because what they find out when they start the process of financial literacy is it's more than just financial literacy. It's about health and wellness both mentally and physically, and they realize that a lot of the things that they do are just simple little injunctions that seemed innocuous at the time as a child that have deeper ramifications, and you have one of the neatest solutions I have seen so far regarding educating children. Bill: Well, thank you. I mean, you have this quote on your about page where you say, "Knowledge is superfluous without application." I think that is so relevant here because kids really need to practice personal finance to get these habits down. My wife and I have five children, so we've kind of been through this a couple of times, and we were really struggling to find something that would allow kids to practice personal finance on a regular basis versus just talking to them about it, or a piggy bank kind of runs out of steam real quick. I mean, kids are super smart and they catch on really quickly. 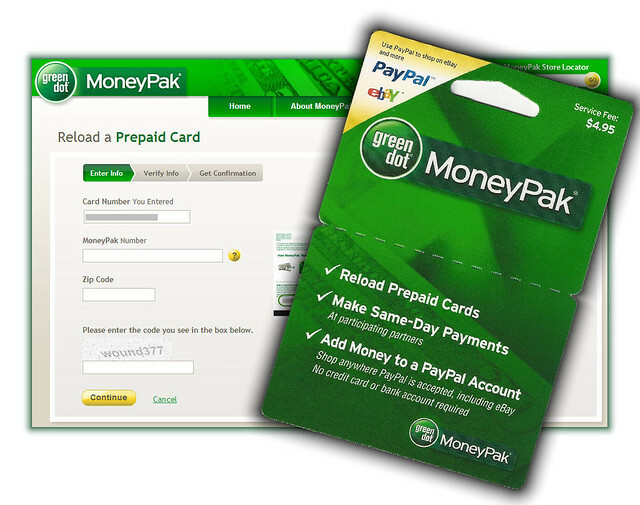 They can really deal with a lot of pretty sophisticated financial concepts. But banking products really aren't appropriate for them, because they're not there to help you make mistakes - they profit from mistakes. So, that's kind of how FamZoo came about. It was my quest to find something I could use with my kids to give them a lot of hands-on practice. Heather: Yes, when I was young I had my own little business, and so I did have a checking account for my lawn mowing service and I had Holly Hobby checks. Heather: All I wanted to do was write them though. My mother kind of ultimately controlled the purse strings on that because I was a familial contributor as a child. So I had an unusual financial experience, but for kids that come up with parents that maybe didn't have stuff and they want to give their kids the world, they want to make it easy on their kids, it's not always the answer and sometimes lifestyles, these middle class and moderately affluent lifestyles just don't permit the opportunity to teach kids about personal finance. How does Famzoo work? Bill: Well, the way it works is basically the parent sets up a bank. So, from the kid's perspective, they have an online bank, and mom and dad are the "bankers." It sounds a little complicated, but actually the whole point is to make it really super simple. So, from a kid's perspective they have an online bank account which shows them their balance - how much they can spend, or how much they've saved or whatever - and then the parents are the ones who are putting the deposits in whether it's allowance, or chores, or work outside the home. To me, the really important thing is that a kid has some money that they are making spending decisions over. There is lots of interesting discussion about do you do allowance, do you do chores or whatever. We support any of those models that are appropriate. You decide for your family what's appropriate, but the key thing is: the child is deciding whether or not to spend or purchase something using their own money and living with the ramifications of those decisions. That's such an important practice. They need to make mistakes early on. Heather: Yes. I think about the motto of "fail early and fail often" in order to get your feet underneath you, and I like that it allows them to do that. When you first started this, what were family's initial responses to the website? I know you're an award-winner. You've gotten Finovate's Best of Show. What was the initial response from parents when you started your website? Bill: Well, it's kind of new. We are really a pioneer in this area, so the concept is kind of new, so often the response is "I don't totally get it, walk me through it." So, when we walk people through it and say "oh, see, like if your little kid finds a quarter in the sofa because the 49ers finally won and some change fell out of your pocket, they can bring it to you and say, 'Dad, put this in Famzoo for me.'" So, I, being the banker, take that quarter, and I credit their account. So, the kid gets used to managing their money as a number, as a balance on the website. Then when we're at the store, and your kid is at the checkout stand and thinking "hmm, I would really like those jelly beans or that gum," instead of just nagging you and screaming and crying about it, they'll say, "hmm, what's my current balance in my account?" You whip out your cell phone and check it and say, "Oh, you have $3.50." Then they decide whether they want to make that purchase. After they make the purchase, you debit the account accordingly. So, this works really well with young kids who don't necessarily have their own debit card or whatever. They might not be ready for that. We use technology to make this super simple and engaging for the kids. That's the key thing. Kids are really wired up really young these days, so there is this opportunity now to use mobile and web technology to make it super, super simple for parents who are insanely busy to run a little more systematic online bank for their kids and not be so ad hoc with money with their kids. Heather: I think that you are totally going in the right direction with the technology idea, and I have some more questions for you about the technology angle, but first we need to hear a word from our sponsors. You are listening to Bill Dwight on Heather Wagenhals' Unlock Your Wealth Radio, and we'll be right back with more coming up after this. Heather: Welcome back to the show everyone. You are listening to Bill Dwight on Heather Wagenhals' Unlock Your Wealth Radio, and Famzoo.com is who we're talking about, or specifically what we're talking about on today's show. Bill, I think that you brought up such a great point about being at the checkout and having the phone app there to be able to check the child's balance because one thing that I've noticed, and I was having a conversation about a financial literacy program I'm facilitating for another organization, is that they said they were sitting there with their grandchild and they were talking about money and something, the cost, and the kid wanted to go do something and they said to the grandparents, "Well, just go to the machine that spits out the money." And, we get hung up in teaching our kids about dollars and cents in the physical paper sense, but our children aren't growing up in a paper money world. Bill: Yes, and parents have this interesting fear that if they don't use real coins and real dollars (or physical, I shouldn't say real - physical coins and dollars) that their kids aren't going to get it. In fact, I think the important thing is that kids understand that a balance - an online balance - is a real sum because this is how young adults and kids get themselves into real trouble. They don't perceive that as real, and so the neat thing about a program like Famzoo is that kids gets in the habit of online banking and electronic money and realizing that that's real money making real purchases, has a real impact on sort of their overall net worth, and they're basically getting a primer for online banking and an electronic purchasing world through the product. Heather: Yes. I really like that aspect about what you've done, because when we get taught with paper money, and that's precisely why casinos give you chips instead of money. Bill: Yes, absolutely. The paper is fine. That's just like I carry around a wallet that has paper currency in it, but I also have a bank account. So they need to look at the whole picture. Why would we just show them part of the picture? Kids are very savvy. 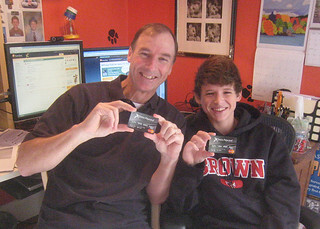 I just had a conversation on the way to school with my 10-year-old just last week about how a credit card works. They can get all these concepts. He asks, "Dad, why does the noodle shop only accept cash?" So, we've even talked about things like merchant fees. And you know what? He totally gets it. I'd like to think of course my kids are little Einsteins, but he's just a normal little 10-year-old. If you take the time to explain these things, and they get lots of practice along the way. They can completely get this stuff. I think if every 10-year-old sort of understood right away how a credit card works and how electronic money works, I think we'd be better off. Heather: I agree. Now, you mentioned letting kids make mistakes. How can a parent use this as a teachable moment? How do you let them fail with your system? Bill: There are so many great examples. I think one of my favorite examples is when kids get in the tween stage typically they have an area of spending that they're very passionate about. My daughter was very passionate about clothing. Now she's 22, but at the time we basically said okay, here's what we're going to do. You make a budget for the year for your clothing, and that's very instructive because kids realize "wow, this really adds up to a lot of money!" What seems like a pretty reasonable budget is actually an astounding amount of money, right? So, we gave her an annual allowance that equaled that clothing budget. Then we said, "You know what? Now you make the spending decisions." So, she had separate accounts in Famzoo. The neat thing about Famzoo is you can set up any number of accounts and allowances and stuff because there are always different kinds of scenarios. So, she had this clothing account, and she was making her own spending decisions, and then halfway through the school year her boyfriend asked her to the prom, and she decided that she absolutely had to have the Neiman Marcus iridescent chiffon gown. It completely torched her budget. Instead of nerdy dad giving her a lecture about how she was going to regret that or whatever I said, you know I gave it the old college try, "You probably won't wear that again." "Yeah, right, whatever dad." So, she purchased it, and I said "as long as you stick by the contract of sticking by the budget." So the wonderful thing was, she purchased it and then she had to go cold turkey on clothing for the last 4 months of the school year. That was a far more valuable lesson for her, something that really stuck with her, versus me arguing with her about it. So, the neat thing about numbers and keeping track in an account like this and having the child make the decisions, even making the budget under your guidance and so forth, and then tracking their own spending is: They feel in control. They feel empowered. When they make mistakes they own up to them because it's their decisions. It's a lot less emotional. If you've ever had teenagers in your life, you know you don't need additional emotion. If you can have a system that helps teach them it also reduces friction. That's a win-win. Heather: Agreed. I remember being a teen, and I remember all of the friction. A question for you. Can you share with us a success story from one of your website participants? Bill: Absolutely. What is always a success story to me is when a family finds an incredibly creative way to use it. We found that so many families are different - we've worked with, thousands of families over the years now. One of my favorites is the mom who set up this chore chart system where, if the chore expired, she credited this special account called "The Money You Could Have Earned." Heather: Oh man! What a great idea! Bill: Every month, when the kids would blow off their chores or whatever, she would roll out their account and say. "See, this is the money you could have earned." I thought that was such a clever usage of our system because we had never envisioned that, and she was able to put that together. So, we're all about matching our system to your values. Money and values are so intimately intertwined. We're not here to tell you what your money values are. We're here to give you a helpful tool that keeps you on track. So many parents start something and then it falls by the wayside 2 months later or whatever because it was too hard to keep up. Life is busy. Parents are busy. So, the whole thing is: maybe we can use technology to keep things rolling in the background while you're busy and diverted and it will be there for you in your next "kid financial crisis." So, that's where technology really comes in to help. Heather: Yes. What a better... I can't think of a better way to illustrate the economic theory of opportunity cost. Bill: Absolutely. And that runs in an automated fashion in the background. She didn't have to do anything. She just rolls it out each month. So, we're always looking for ways that we can use technology to simplify and automate stuff that basically lowers the bar for parents to be good money mentors. That's the whole goal of Famzoo. Heather: Yes, because as listeners know who are working to create their own financial wellness and overcoming all of those limiting beliefs they gathered as children, this is one really elegant streamlined way that I have explored personally to figure out how you can seamlessly integrate it in your life without having to sit down and create this monthly lecture, or having to have a structured learning plan. This is an actual, an experiential teaching device. Bill: Yes. If you have to work hard, that's a real impediment to them following through, and also a lot of folks are anxious about their own money habits, right? The neat thing is that technology can help you feel less anxious about that. The technology is kind of helping you enforce these good habits, and you don't have to be perfect yourself. The neat thing is when parents work with their kids, they also clean up their own habits. Heather: Yes. I was going to say I bet that it has a reverse effect because now they're wanting to walk the walk, they're wanting to walk the talk. This has been an incredible discussion with you today, and I'm so delighted that you wanted to be a part of our show. And, in addition to being a part of our show, you also have a special offer for Unlock Your Wealth Radio listeners. Bill: Yes, we do Heather. It's a coupon code that you can enter when you register your family, and it's... (Whoa, not so fast! You'll have to listen to the broadcast!) That will give people a 6-month free trial which is 4 months beyond our typical 2-month free trial. Hopefully that will be more than enough time for parents to figure out "hey, does this work for my family and does it help me out?" Heather: I think that that's a super offer, and I hope our listeners take us up on that. I am just so grateful that you stopped by to help us learn how to have another resource to educate our children better and for free. For those of you who are driving around never fear, unlockyourwelatheradio.com is here, and that's where you can go to find the coupon code and the link to Bill's website. You are listening to Bill Dwight on Heather Wagenhals' Unlock Your Wealth Radio. by Bill Dwight on Monday, November 05, 2012 at 11:07 PM | LEAVE A COMMENT! how to neutralize materialistic peer pressure. My favorite quote from Ron is: “There is nothing like real dollars in the real world to teach real lessons.” Indeed! Related FamZoo Activity: Set up a modest allowance to constrain your child’s wants. Kids and Money: How Young Is Too Young? I think a physical piggy bank is a great start, but the sooner kids understand the concepts of online banking and the fact that a balance in a statement or on the screen represents real money, the better. They’re growing up in an increasingly online world and need to understand how to handle all forms of money — from physical to electronic. We’ve found that kids as young as 4 or 5 easily grasp the concept of online banking — kids are pretty darn smart these days, they just need a little explanation and lots of practice making wise money decisions. Related FamZoo Activity: Set up a virtual family bank. Read more about Gertrud’s 7 rules here. Related FamZoo Activity: Set up an online chore chart. We’re constantly scouring the Internet looking for articles related to family finances and teaching kids good personal finance habits. You can visit our ever growing list of family finance bookmarks here. We’re up to 2,981 now!